In this world, alchemists are those who study and perform the art of alchemical transmutation—the science of manipulating and transforming matter. They are bounded by the Law of Equivalent Exchange: in order to gain something, one must sacrifice something of equal value. 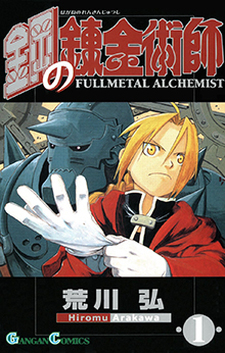 Young Edward Elric, nicknamed the "Fullmetal Alchemist", is a State Alchemist working for the government of Amestris. As a child, Edward and his little brother Alphonse attempted the forbidden art of human transmutation to revive their late mother. In the accident that ensued, Edward lost his left leg and right arm, and Alphonse's soul was sealed in a large suit of armor. To reclaim their original bodies, the Elric brothers embark on a journey to find the Philosopher's Stone, a mythical object said to allow its user to perform alchemical miracles.